Ferrari factory original 2000 Ferrari 360 Modena Spider Press Kit. Press kit with 68 pages plus a CD-Rom. This relatively small sized (but VERY informative!) 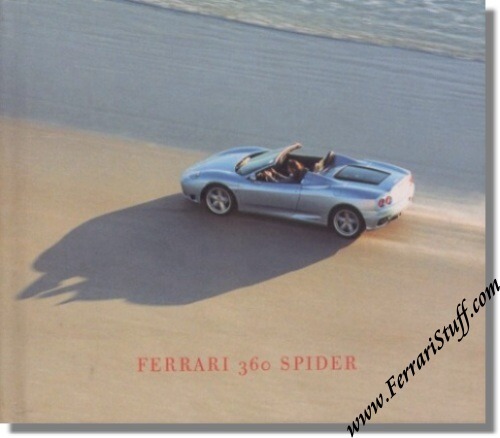 press kit was only given out at the introduction of the Ferrari 360 Spyder in Monaco in 2000. Ferrari Print Number 1596/00, issued in 2000.